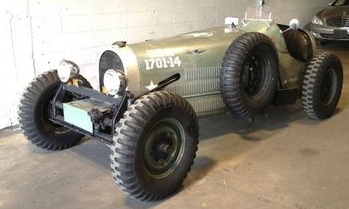 selling a military themed bugatti kit car. was used in making a movie that never happened. I have many other parts avail. Email with specifics of the items your looking for. If you want an item but can't afford it now, I do layaways up to a year, as well as deposits to hold cars, for items over $2500. Unless specified directly in my ad, ALL items listed are USED and workable parts. If your looking for NEW parts, e-mail me and I'll see what I have avail through my shop. NO REFUND will be given for any body parts that are cut from vehicles at buyers request, ie: roof clips, 1/4 panels, aprons. NO REFUNDS on used items. Buy your next HP engine here!